Sometimes there's an album that really sneaks up on you. You pop it in without any expectations and you slowly but surely fall for its the charms. 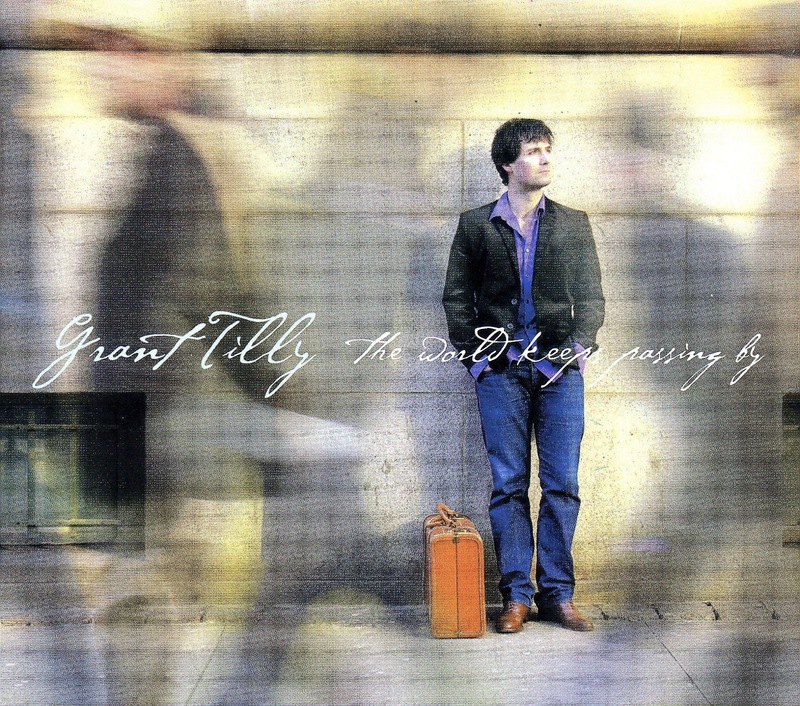 That's definitely the case with Toronto-based, Calgary-born folk singer/songwriter Grant Tilly's forthcoming record The World Keeps Passing By. It's the songwriting that stands out with Tilly. His lyrics are thoughtful and unpretentious. He's honest without being sappy or laden down with self-pity. This alone sets him apart in the all-too earnest world of folk music. A dash of humour adds to the charm. After all, who can resist a song like "Until I'm With You" that rhymes 'emails' with 'Cream Ales'. Tilly also takes a cue from Charlie Daniels on "The Interview", a track that updates the country legends' "The Folksinger". For the most part, the arrangements provided by Ayron Ortley (The Mahones), David Baxter (Justin Rutledge), and the rest of Tilly's players are unobtrusive and admirably efficient. Songs like "We Can't Go Back" and "A Simple Dream" however, have a fun Spirit Of The West-style east coast vibe. The World Keeps Passing By is a pleasant little record that will keep rewarding you the more and more you listen to it. Grant Tilly plays a CD release show at Revival in Toronto on April 16th. Best tracks: "Until I'm With You", "The Interview"